Documenting Learning:Making Thinking Visible, Meaningful, Shareable, and Amplified. The book will be published in early 2018 by Corwin Press. We have handed in the first manuscript and are awaiting the first wave of feedback from reviewers. What is learning? What is evidence of learning? How do we look for, capture, reflect on, and share learning to foster meaningful and active engagement? How do we amplify learning as members of a globally connected learning community? I have written a self-published book before and contributed to a chapter each to Mastering Global Literacy & Mastering Digital Literacy. It was the first time for me that I co-authored an entire book. The process from brainstorming and outlining our chapters, writing collaboratively to experimenting with the logistics of working collaboratively and individually all contributed to a unique writing process. I was ready to observe from the beginning, how I went through the process, tested, adjusted, re-aligned and how I stayed conscious of the process, my thinking, feeling and learning of any changes it demanded. Many times the content just seemed to demand to get out onto the screen through the keyboard, when other times the pressure of “having to get a chapter done” gave way to a “writer’s block”. Writing did not always happen in my office at my desktop, but on the couch, on the patio, or in bed. Many times it was necessary to change location to keep writing. I am a list maker. 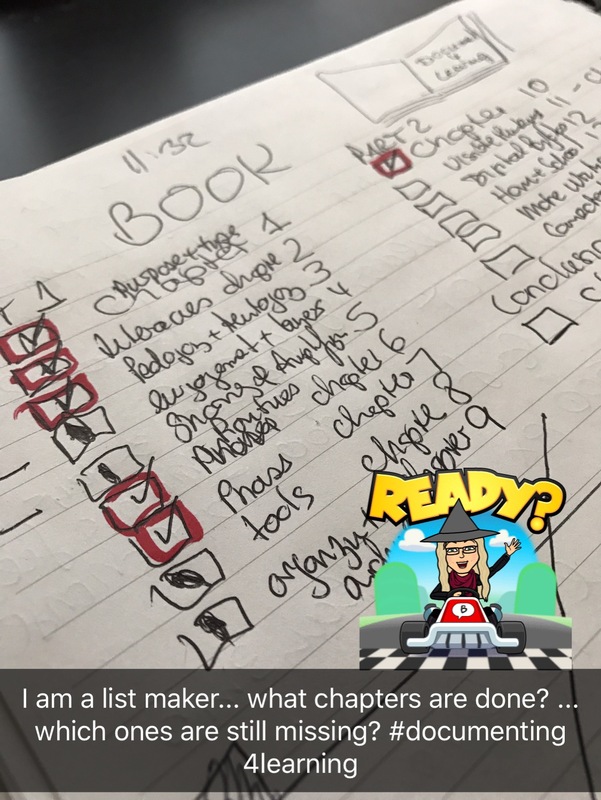 Part of my writing process was the need to see a checklist of what chapters were ready and what chapters still needed to be worked on. The same was true for our digital files. Files and folders were moved, renamed, deleted and created in order to stay organized. 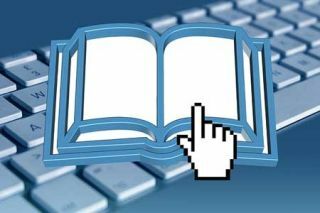 The writing process was not necessarily linear, as we wrote several sample chapters in the beginning to be turned into potential publishing companies. We also wrote several chapters, which in the end were not included into the final manuscript. During the process of writing our book, I became even more aware of the differences between writing intended to be published in an analog, traditional form or writing for a blog, destined to be read in a digital environment. Online, I am free to experiment with hyperlinked writing, multimedia, and non-linear writing. I often felt constraint, as I was able to only rely on the words, sentences, paragraphs, chapters and sprinkled images throughout the chapters. I felt constraint by formatting, word count, and limitations of text. I ached to be able to return to my blog writing after a while. I have no idea how co-authors wrote a book together in “the good old days” before Google Docs, Skype, texting, etc.? Janet and I never met physically during the time we wrote the book. All our interactions were virtual. Skype and the ability to screenshare was invaluable. Having the ability to edit visuals instantly (with Janet being present as a little Skype window) made it easier than having to attach the image with an explanation and then return to sender to be interpreted. It was definitely a learning curve for both of us. We needed to test what worked and what didn’t, voice to each other our concerns and to be open to change our approach in the middle of writing when it was not working for our writing process. it was clear from the beginning for me that the book would contain visuals to support the content. I experimented with a variety of approaches to “write” with my visuals. When I was working on a specific section of the book, I created the visuals first, then used the visual to write the content. Other times, the text in the chapter came first before the inspiration for the visual followed. Visuals are an integral part of my learning process, they are a way of making my thinking visible and shareable. Visualizing my thinking organizes my writing. During the process of writing the book, I started to notice that I am seeing less and less of a distinction between “writing text” and “writing visuals”. Writing visuals are just another form of amplified writing. It is not the first time for me to wrap my mind around amplified writing. As I was confined to analog territory while writing the book, my unique perspective as a blog writer gave me the opportunity to writing on the edge of analog writing and trying to find ways to embed what I know to be true from the blogging world. I did not want to lose my connection to the reader. I did not want to finish writing the book, get it published and forever be separated from the reader. I wanted the readers to be able to extend their reading beyond the final paragraph or the final chapter. I wanted the readers to contribute to my continued learning about the topic. I wanted the added value from crowdsourcing perspectives, action research and best practice examples. The book will contain QR codes to “embed” extended reading, videos and audio file. While the book will be in print , hence once published it will be non-editable, the QR codes give us the flexibility to add, edit, change additional resources as they become available. The book will also contain “tweetable quotes” to remind readers to share with their own network and make it easier to connect to the book’s online community on Twitter. 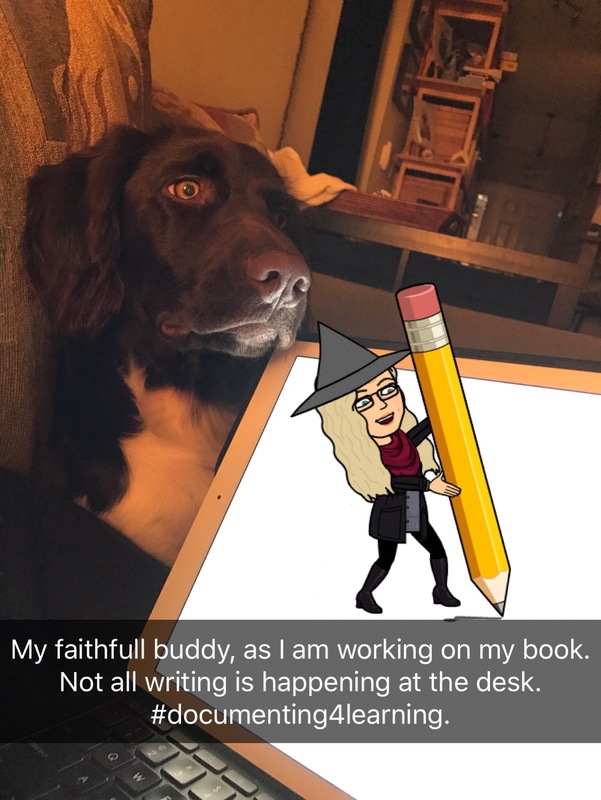 While this blog post was about documenting my learning as I was writing a book, it would not be complete without including that writing always starts with reading! It is worth mentioning that my reading habits are continuing to evolve and have been influenced by writing the book. I have noticed that I prefer reading the paper version of the book, but when highlighting and later being able to access these passages, the digital book version is invaluable. Writing a book was nothing I had ever done before. It pushed me far beyond my comfort zone in writing. I worked hard to not lose my voice as a blogger and digital writer in the traditional format. Once you amplify writing in digital form, it is hard to scale back to traditional writing. Although the book will be heading to the press soon (after hearing from the reviewers and continued editing work with the publishing company), we are already starting to build community around the message of the book. If the book topic interests you and inspires you to document your own learning (as a teacher or as a student), we want to provide a space to connect with others interested in sharing and amplifying documentation OF/FOR/AS learning to make best practices visible and accessible to each other. 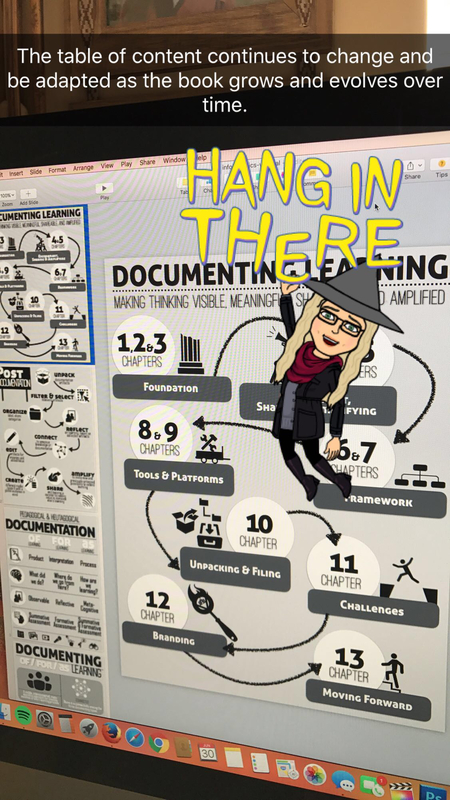 Let’s connect online for curated resources, best practice examples, and conversation around documenting learning. It has been a year of writing, a year of learning and a year of documenting the process. I am excited to watch how the learning continues to unfold in digital spaces once the printed book is published. I am looking forward to the amplified learning opportunities with you!